Become best friends with your Legislators – If your federal and state legislators’ phone numbers aren’t saved in your phone yet, text your ZIP Code to 520-200-2223. You’ll get a text back with everyone’s contact info within seconds! Calling your legislators is the most effective way to make your voice heard. For a comprehensive update on Colorado Issues sign up for ProgressNow’s Colorado Daily News Digest. From Rep. Steve Fenberg – Be sure to sign up for updates on all things happening at the Capitol! My team will do all the work to keep you in the loop about the issues you care about most. Republicans block every progressive issue – not on merit, just blindly along party lines. VOTE THEM OUT!! INFLUENCERS IN COLORADO – Influencers are power players who help get candidates elected, put through policy proposals, cause ideological changes & affect popular perceptions. They can take on many forms: politicians, lobbyists, advisors, donors, corporations, industry groups, labor unions, single-issue organizations, nonprofits – to name a few. 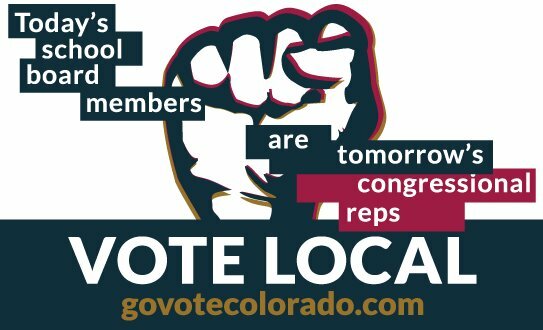 DON’T FORGET TO CONTACT YOUR LOCAL STATE OF COLORADO REPS DIRECTLY! !